For the past three years I have been working on a book on Hopi long distance runners and the American sport republic. 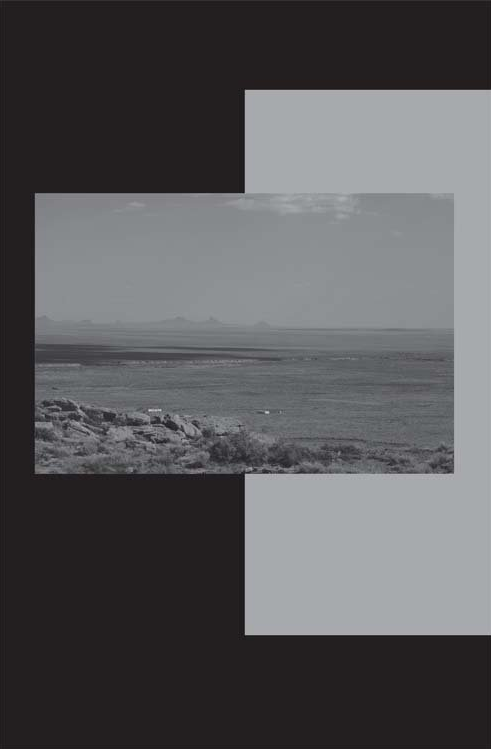 Part of this project includes an article that I wrote titled “Hopi Footraces and American Marathons, 1912-1930.” This article recently appeared in the March 2010 Issue of American Quarterly (Vol. 62, No. 1, pp. 77-101). 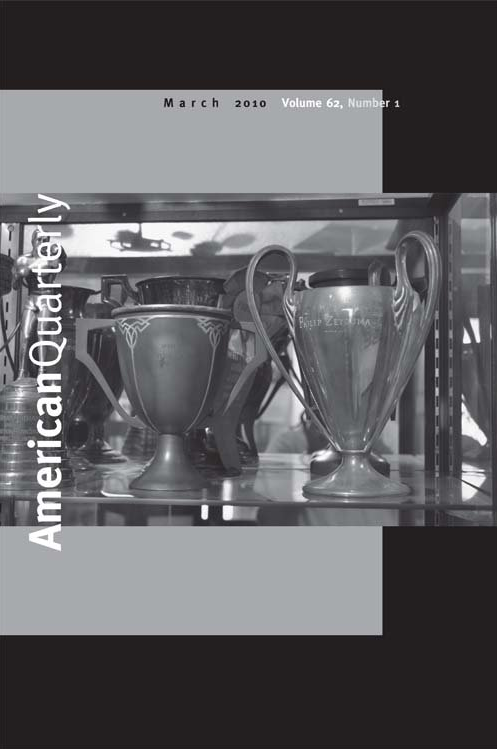 The American Quarterly is the flagship journal of the American Studies Association. 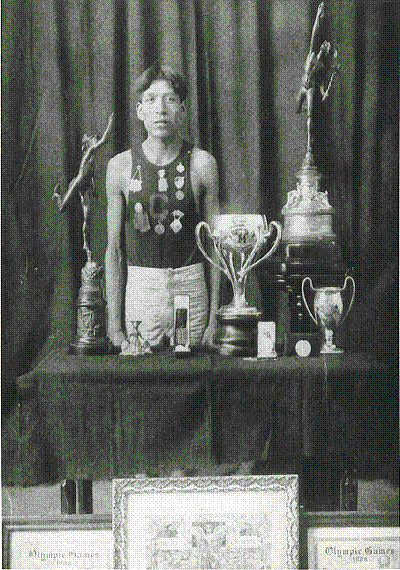 The photograph featured on the cover of the journal (pictured above) is of two trophy cups that Hopi runner Philip Zeyouma won at Sherman Institute. I took this photo at the Sherman Indian Museum in Riverside, California. Not long after the school established its cross-country team, Zeyouma won the Los Angeles Times Modified Marathon in April 1912. His victory also gave him an opportunity to compete in the 1912 Olympic Games in Stockholm, Sweden. 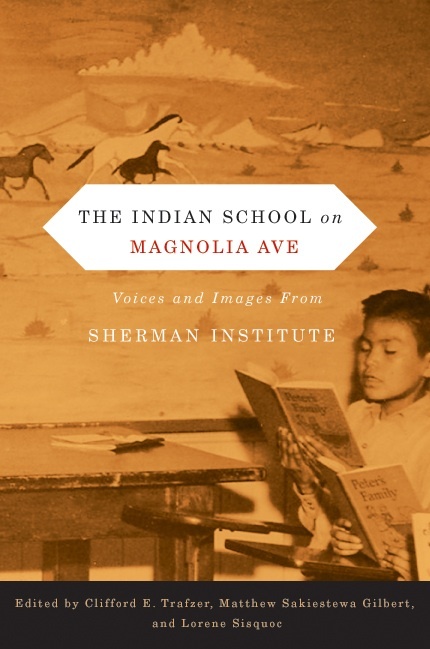 When Hopis such as Zeyouma, Harry Chaca, Guy Maktima and Franklin Suhu competed on the Sherman cross-country team, and Louis Tewanima ran for the Carlisle Indian Industrial School, their cultural identities challenged white American perceptions of modernity and placed them in a context that had national and international dimensions. These dimensions linked Hopi runners to other athletes from different parts of the world, including Ireland and Japan, and they caused non-Natives to reevaluate their understandings of sports, nationhood, and the cultures of American Indian people. This article is also a story about Hopi agency, and the complex and various ways Hopi runners navigated between tribal dynamics, school loyalties, and a country that closely associated sports with U.S. nationalism. It calls attention to certain cultural philosophies of running that connected Hopi runners to their village communities, and the internal and external forces that strained these ties when Hopis competed in national and international running events. 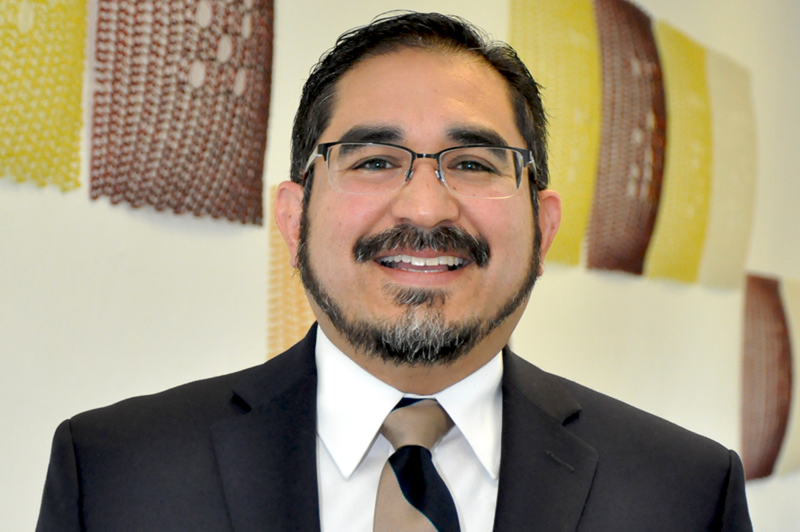 I am indebted to several individuals who helped me revise this essay, including my colleagues at the University of Illinois, various Hopi and non-Hopi scholars, the Hopi Cultural Preservation Office, Lorene Sisquoc of the Sherman Indian Museum, and American Quarterly editors Curtis Marez, Jeb Middlebrook and Stacey Lynn. If you would like a PDF copy of this article, please feel free to email me at sakiestewa@gmail.com, or submit a comment to this post. 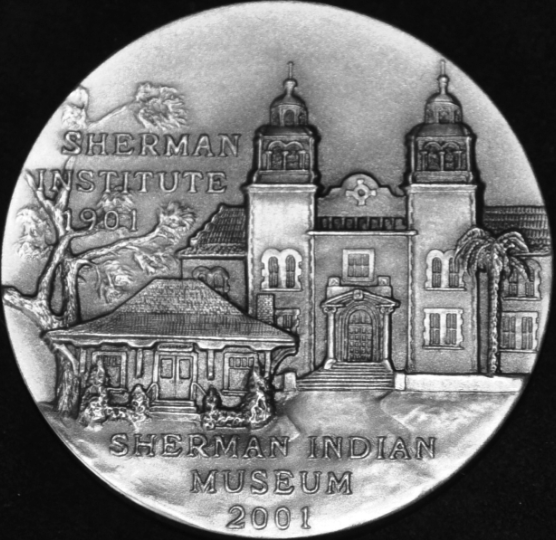 In 2001, the Sherman Indian Museum had this bronze coin designed to commemorate the 100 year anniversary of Sherman Institute (now called Sherman Indian High School). Before I conducted research on the Hopi Reservation, Lorene Sisquoc, director of the Sherman Indian Museum, gave me several of these coins to give to the Hopi alumni that I interviewed. She was able to discern the raised design of the school’s main building, the palm tree, and the superintendent’s office. The bronze coin reconnected Bessie to her alma mater. It took her back seventy-six years to when she last attended the Indian school in Riverside, California. One of the gaps in the historiography of Indian boarding schools is a book length study on the Outing System. Government officials established Outing programs at off-reservation Indian boarding schools to create an Indian working class. At Sherman Institute, the boys labored on farms and ranches, while the girls worked in homes in the greater Riverside community. Although school officials wanted the girls to be exposed to the so-called civilizing influences of white Americans, the system ultimately “trained” girls to become domestic servants. The girls often spent their days cleaning, making food, and taking care of children who belonged to white families. In BEYOND THE MESAS, Eilene Randolph and Leslie Robledo from the village of Bacavi on Third Mesa note that Hopi girls at Sherman did not have trouble securing work in the school’s Outing program. Hopis had a reputation of being “hard workers,” and the people in the community routinely “hired up” the girls to work in their homes. Local farmers were also eager to employ Hopi boys to work in their fields and orchards. 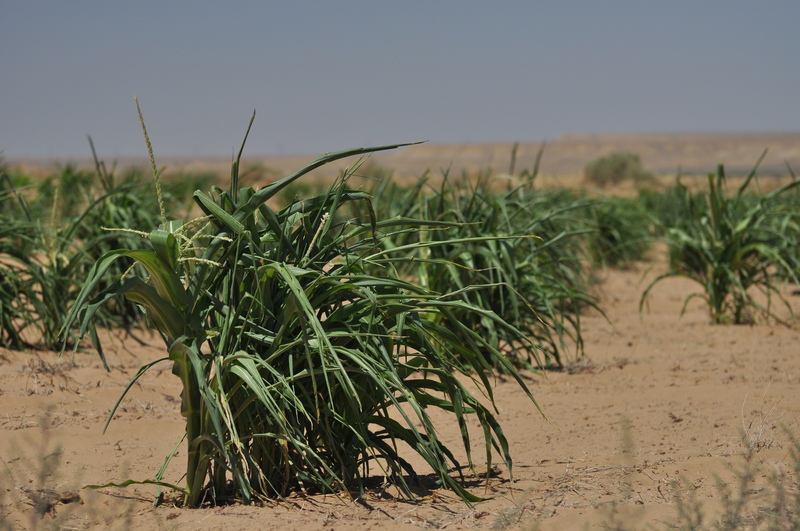 The boys had come from an agricultural based society and used their knowledge of planting and harvesting in Southern California. 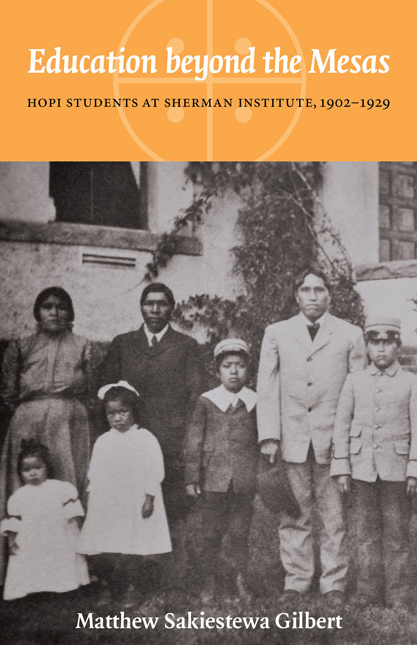 While I have written more about the Outing System in my book Education beyond the Mesas: Hopi Students at Sherman Institute, 1902-1929, and other scholars have examined the topic in their works, a comprehensive study (book) devoted entirely to this important program has yet to be published.